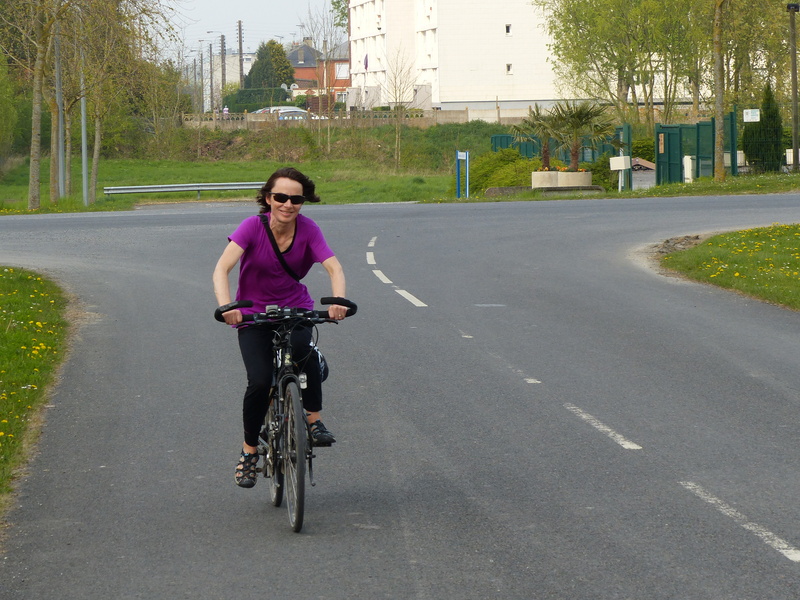 Pedalling in Peronne – Run. Ride. Roam. Aaah, what a slow and relaxing start to the day! We only needed to pack up camp and move up the road to the hotel we had booked months ago, so we had a room to snooze in before and after the dawn service. We took things slow, knowing we couldn’t check in for a while, so we had a leisurely breakfast at Chateaux le Tent, sat in the morning sun and then slowly loaded up the bikes for the short pedal up the road. It would be so nice if every morning could be like that! Getting packed up in the sun, rather than walking around on freezing cold feet, in freezing cold air, walking on freezing cold grass covered in freezing cold dew! I have become used to lots of things being cold, mostly me, but I can’t say I enjoy it! So this morning was great! 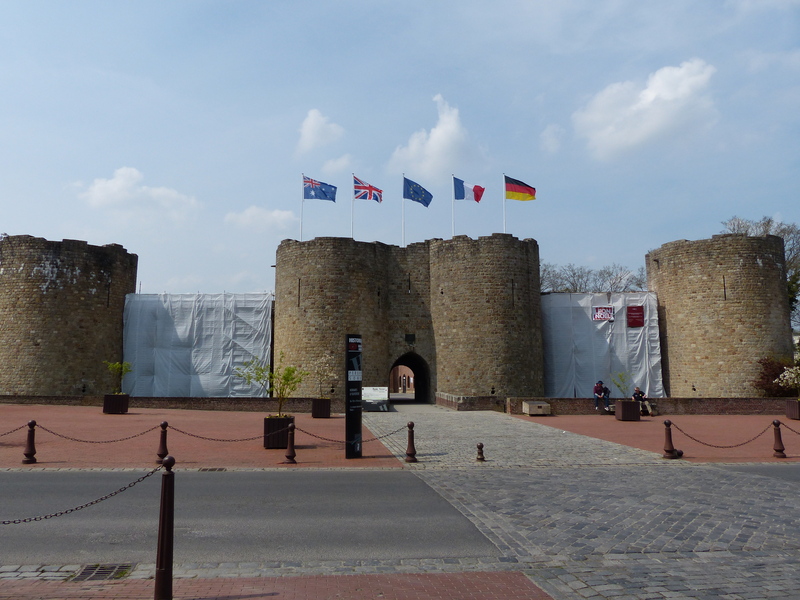 After checking in with the very nice and helpful reception man at the hotel, we set off to pedal into Peronne centre to visit the Museum of the Great War. We stopped along the way for a quick elevenses on a bench outside the church and then set off to explore the museum. The museum was, unfortunately, a little disappointing and we both left feeling a bit underdone by the whole experience. All the exhibits were under redevelopment, so everything was very temporary and there were lots of gaps and empty spaces. It was still interesting to read some of the information and see some of the artefacts, but on the whole there wasn’t much to see, since it was all so much a “work in progress.”. 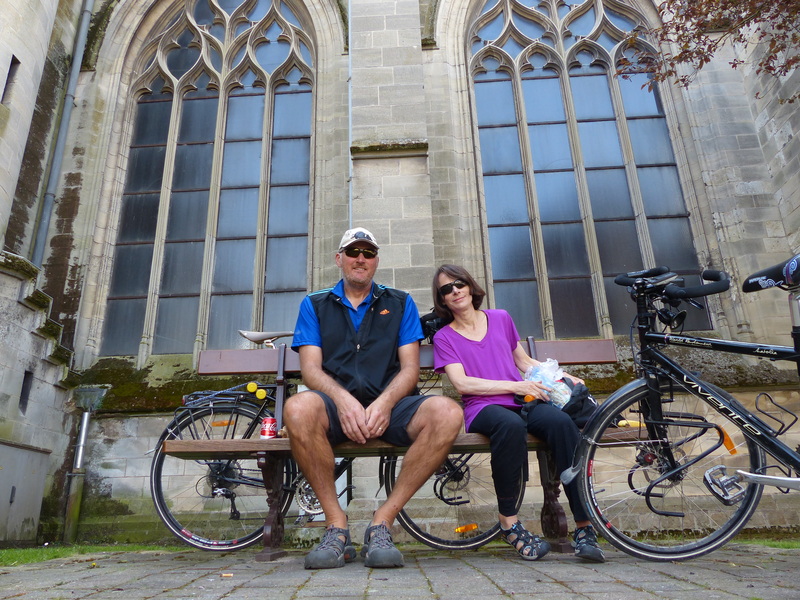 After taking in the museum, we pedalled off to find a supermarché. Now, I should point out, that when we ride into a town after leaving all our gear somewhere, we don’t wear our helmets (I know…I know…it’s not the safest or smartest thing to do, but it saves having to carry helmets around when we leave the bikes outside places). So as we pedalled around, we were riding naked bikes, wind in our hair (well, my hair, maybe not so much Steve! ), free from all our gear and just riding around like a normal person and a bit like a local. 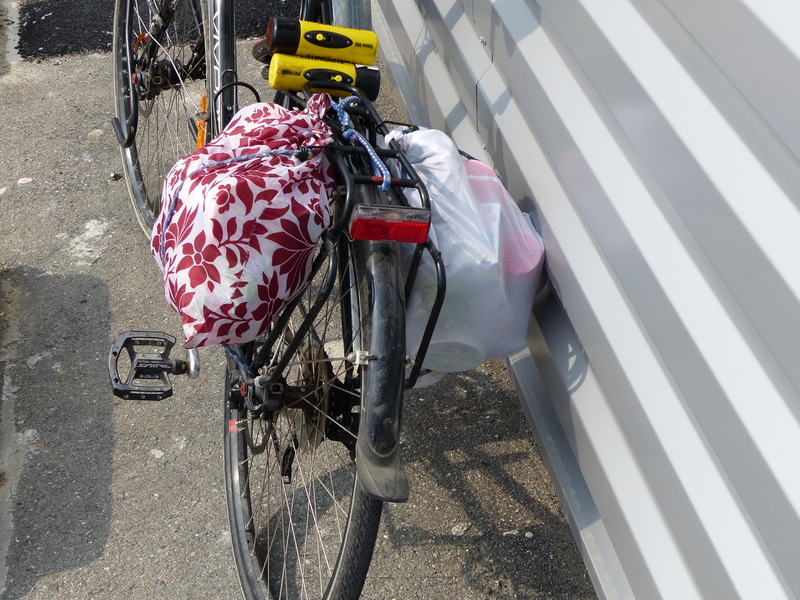 As we left the supermarché, we tied our groceries onto the back of the bikes and off we set, along the streets, through the traffic, back to the hotel. The new look “panniers” with our groceries loaded up ready for the zip through the streets! What total, complete and utter FUN! I normally hate riding in traffic when we have all our bags on the bikes, but when we’re riding naked bikes, it’s so much fun to whip around! It was so cool to just zippedy-doo-dah to the left, zippedy-doo-dah to the right and even the roundabouts were super fun to wheel around and no wobbles! So I grinned like a complete prat, as I zipped along, in close to normal person clothes, looking almost like a normal person and feeling a little less feral and just blended in with the locals pedalling and driving around the city streets. F – U – N…FUN! Well, a short blog today and time to get some early shut eye before a 1:00am wake up in the morning to walk into the city and catch the bus out to the dawn service. I’m not going to worry about the alarm not going off…or walking around in the wee hours of the morning…or missing the bus…well maybe just a bit!